rural areas, and the food industry as a think tank for agricultural policy. KREI’s 2019 Agricultural Outlook Conference “Farm Household Income to Exceed KRW 40 Million, People Employed in Agriculture, Forestry, Fisheries to Continue Increasing in 2019” The Korea Rural Economic Institute (KREI, President Kim Changgil) on Jan. 23 held the 2019 Agricultural Outlook Conference on the theme of the “Value, Opportunities and Future of Agriculture and Rural Communities” at the Lotte Hotel, Jamsil, Seoul. Approximately 1,700 people from across the nation attended the event. In the conference, KREI presented the outlook for this year’s prices, supply and demand of major agricultural, forest and livestock products, drawing many participants’ attention. 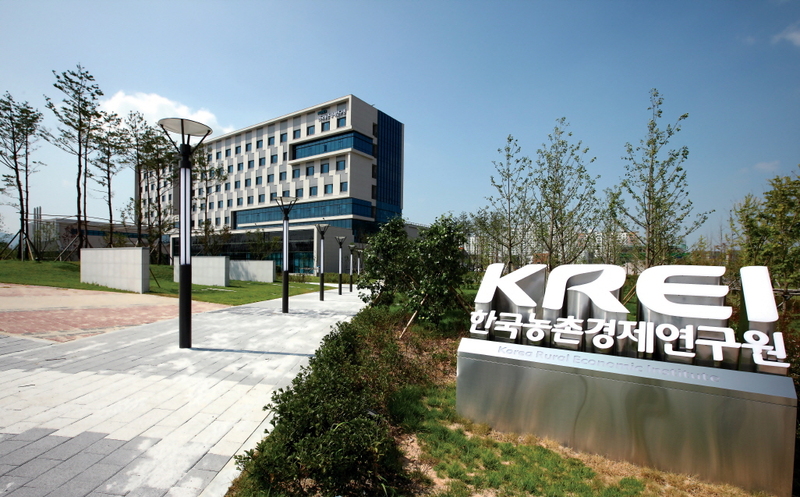 KREI forecasted that in 2019 the agricultural production value would decrease by 1.5% from last year to KRW 49 trillion 442 billion, and farm household income would increase by 1.1% year-on-year to KRW 40.06 million. While the decline in the farm household population is expected to continue in 2019, the number of people employed in agriculture, forestry and fisheries will grow. The farm household population will fall by 1.7% from the previous year to 2.34 million people, and the number of farm households by 1.4% to 1.01 million households. In 2019, the farm input price index is forecasted to grow from last year, while the price index of farm products received by farmers is expected to decline. The farm input price will rise by 0.5% year-on-year due to the increase in managing costs, while the price of farm products received by farmers will decrease by 2.3% from the previous year owing to the fall in the prices of grains and livestock products. Cultivation acreage and cultivated area are forecasted to continue declining this year too. Cultivation acreage will decrease by 0.8% year-on-year to 1.59 million ha, and cultivated area by 0.9% to 1.62 million ha. The cultivation acreage per farm household member is expected to reach 67.9 a in 2019, up 0.8% from last year. The number of livestock in 2019 is forecasted to rise by 2.4% year-on-year to 192 million head. In 2019, although the imports of agricultural and livestock products will grow from 2018, the increment in the exports of the products will be bigger. The imports of agricultural and livestock products are expected to grow by 0.6% from the previous year to 27.58 billion dollars, and the exports by 2.2% to 6.55 billion dollars. The expansion of the increment in the exports will lead to the trade deficit similar to last year’s level. Due to dietary changes, the medium- and long-term consumption of meat and imported fruits is forecasted to grow by 1.3% and 2.2% respectively on annual average. On the other hand, the consumption of grains and vegetables will fall by 0.7% and 0.9% respectively. 2019 Agricultural Outlook Conference To Be Held The Korea Rural Economic Institute (KREI) will hold the 2019 Agricultural Outlook Conference on the theme of the “Value, Opportunities and Future of Agriculture and Rural Communities” on Jan. 23 (Wed.) from 9:30 am at the Crystal Ballroom on the third floor of the Lotte Hotel (Jamsil-dong, Songpa-gu, Seoul). This year marks the 22nd anniversary of the Agricultural Outlook Conference, the biggest event in the Korean agriculture sector. Every year farmers of the country and related people have gathered at the Conference to examine the conditions of domestic agriculture and rural communities and forecast future changes. Thus, the Conference has greatly contributed to farmers’ and policymakers’ decision-making. KREI President Kim Changgil, Agriculture Minister Lee Gaeho and Chair Hwang Juhong of the Agriculture, Food, Rural Affairs, Oceans and Fisheries Committee will deliver an opening address, words of encouragement and a congratulatory address respectively. In the first part of the Conference, Chairman Seong Kyoungryung of the National Research Council for Economics, Humanities and Social Sciences will give a special lecture on “An Inclusive Country and the Value of Agriculture and Rural Communities.” Also, Director Lee Jaeuk of the Food Industry Policy Office at the Ministry of Agriculture, Food and Rural Affairs and Director Park Kihwan of KREI’s Department of Agricultural Outlook will make the following presentations respectively: “2019 Agricultural Policy Direction and Major Policy Tasks” and “Agriculture and the Farm Household Economy in 2019: Trends and the Outlook.” The second part is comprised of presentations and discussion on major agricultural policy issues including “New Value of Agriculture and Rural Communities,” “Healthy Food,” “Agricultural Industry: New Opportunities” and “Our Challenges: Peace and Globalization.” The third part consists of presentations and discussion on the issues of and outlook for each industry such as grain, fruit, fruit vegetables, forest products, vegetables and livestock products. Starting with the first event at the Lotte Hotel, Seoul, the Agricultural Outlook Conference will be held on Jan. 29 (Tue.) in the auditorium of the North Gyeongsang Provincial Government building, Andong-si, Gyeongsangbuk-do, and on Jan. 31 (Thur.) in the performance hall at the North Jeolla Provincial Government building, Jeonju-si, Jeollabuk-do. 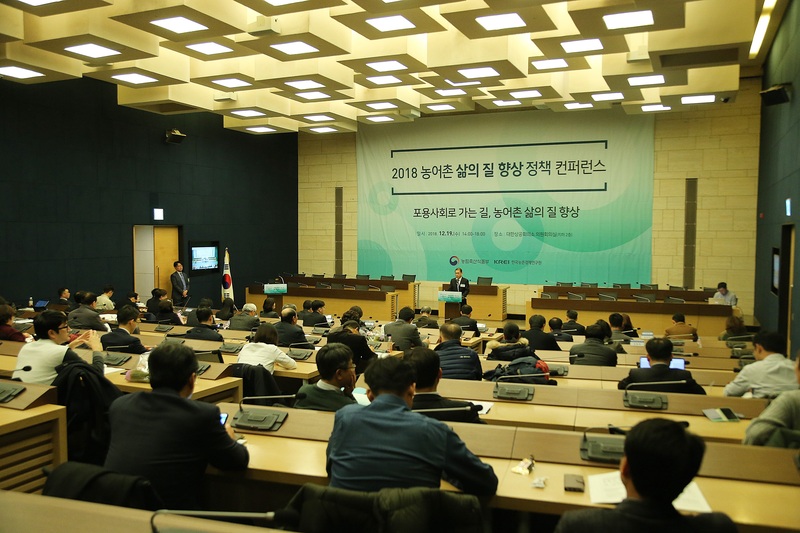 2019 Kick-Off Meeting: “Becoming Agricultural Policy Research Institute That Leads Sustainable Future of Agriculture, Rural Areas” The Korea Rural Economic Institute (KREI) on Jan. 2 held a kick-off meeting for 2019 in the main conference room. In his New Year’s address, KREI President Kim Changgil said, “In the Year of the Golden Pig, let us all be explorers,” and emphasized, “For sustainable development in this fast-changing environment, it is needed to choose a new, non-existent path, leaving the familiar path. KREI should play this role.” Before the event, several employees were awarded citations. Research fellow Kim Sanghyo, research associate Lee Yunjeong, and researchers Han Jeonghun and Shim Minhui received the Citations of the Minister of Agriculture, Food and Rural Affairs for contributing to the development of the food, agricultural and forestry sectors. KREI Held Policy Forum for Providing Consumer-Oriented Agri-Food Labeling Information In a policy forum jointly held by the Korea Rural Economic Institute (KREI) and the Ministry of Agriculture, Food and Rural Affairs on Dec. 14, the need for consumer-oriented agri-food labeling policies and for organic cooperation among relevant ministries was raised. 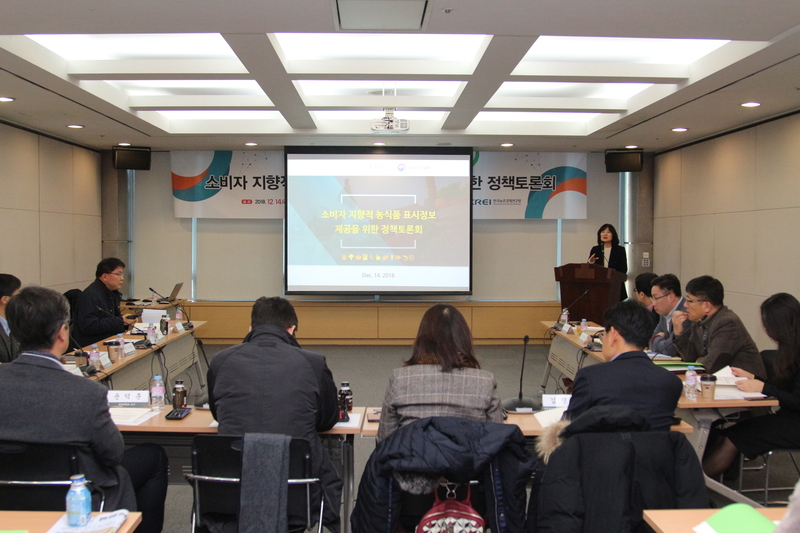 The event consisted of the following presentations: “The Current Status of Agri-Food Labeling Information and Consumers’ Use” by Dr. Kim Sanghyo at KREI; “Development Direction of Food History Information” by Wonkwang University professor Choi Junho; “Consumers’ Food Choices and the Direction for Food Labeling Policy” by principal researcher Yeon Miyeong at the Korea Health Industry Development Institute; and “Plans to Improve Origin Labeling Methods” by Dankook University professor Yang Seongbeom. The presentations were followed by discussion. The forum is significant in that directors of policy research of the central ministry in charge of agri-food labeling related business and experts in each field discussed the medium- and long-term development direction for providing consumer-oriented agri-food labeling information from various perspectives. Also, the participants proactively presented potential problems and areas to be improved, and discussed policy alternatives. 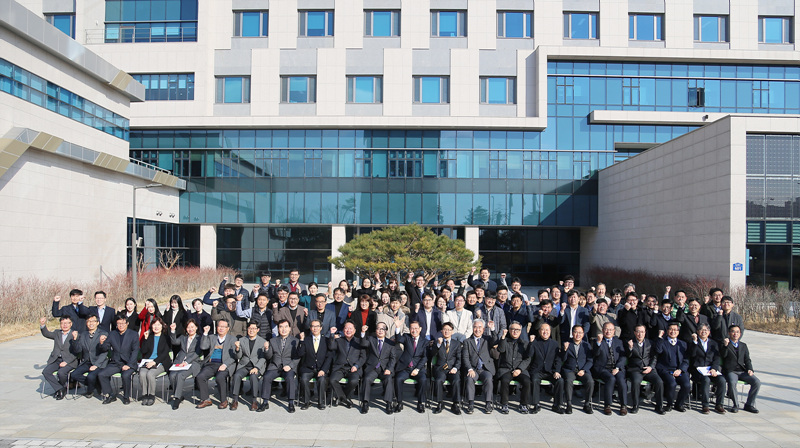 KREI Held 2018 Life Quality Improvement Policy Conference on “Way to Inclusive Society: Improving Rural Life Quality” The Korea Rural Economic Institute (KREI) on Dec. 19 held the 2018 Rural Life Quality Improvement Policy Conference on “The Way to an Inclusive Society: Improving Rural Life Quality” with the Ministry of Agriculture, Food and Rural Affairs at the Korea Chamber of Commerce & Industry. KREI, which has been the support institution for rural life quality improvement since 2012, has held the Life Quality Improvement Policy Conference to examine the one-year performance of and tasks for the rural life quality improvement policy. In that day’s event, researchers, policymakers, field experts, and residents discussed the performance of and tasks for the policy for rural life quality improvement which the government has implemented so far. The participants also shared innovative field cases that contributed to revitalizing rural communities. Session 1 consisted of a keynote lecture and the presentation on the performance of the life quality improvement policy. Session 2 included three presentations on rural welfare, transportation, and housing respectively, and case presentations and wrap-up discussion. Also, people who contributed to enhancing the life quality of farmers and fishers this year received the Minister’s Citations. KREI Held 10th Anniversary Seminar of Beijing Office, Signed MOU with BAAFS The Korea Rural Economic Institute (KREI) on Dec. 11 held the 10th anniversary seminar of its Beijing Office, and concluded a memorandum of understanding (MOU) with the Beijing Academy of Agriculture and Forestry Sciences (BAAFS) in the conference room of BAAFS, China. KREI’s Beijing Office opened in Beijing, China on March 6, 2008. The Office was established to collect and analyze information on Chinese agriculture and rural areas and to strengthen cooperation with relevant institutions in China. 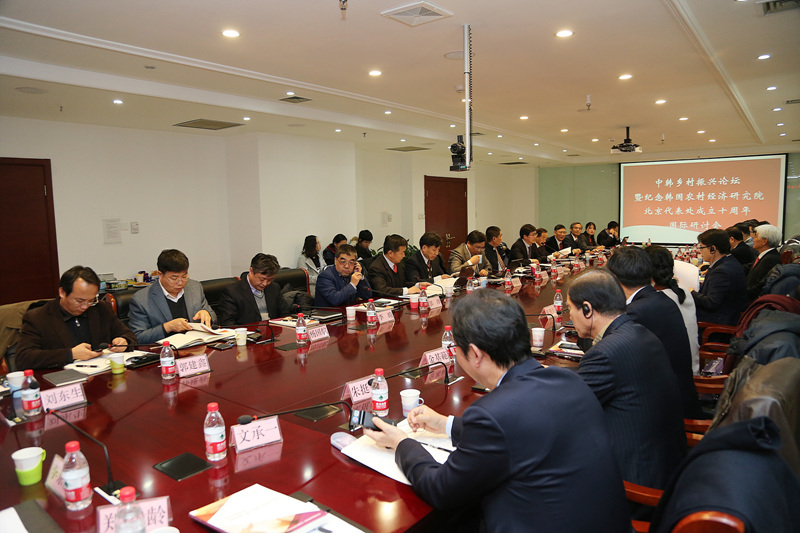 The Office has expanded exchange and cooperation by holding various academic conferences and seminars with many institutions and academia in China, and played a key role in enhancing KREI’s capacity for research on Northeast Asian agricultural policy. BAAFS, which signed the MOU that day, is an agricultural science and technology research institution with a long history since 1958 and excellent research capacities. KREI and BAAFS decided to strengthen research cooperation for agricultural development in the two countries.